What better way to get your attention that by putting NO MONEY in the title, right? After all if you’re in a small independent school with a small tech budget, these words bring a sweet sound to the ear. Even if you’re in a big-budget situation, this is a great way to try it out before committing money to the idea. Here’s how I have managed to create my own DropBox-like environment at my school. I must first clarify that using DropBox was not an option given the cost. Though we use GoogleDrive for our faculty/students, there are administrative needs that need way more storage and flexibility than GoogleDrive offers at this time. At the time I started using the service Google’s storage prices had yet to drop, so budgeting played a role in my decision to deploy this service to our administrators and administrative support staff. We now enjoy nearly unlimited storage, automatic sync, and reliable service. I get the added benefit of being in control, and having ample backup and archiving capabilities. Win win! Go to arvixe.com to setup your own trial account for free. As long as you keep your storage within the Arvixe hosting service under the 1Gb size, you’re free to go. I use arvixe.com to maintain my OwnCloud environment since I don’t want to install it on my own servers, nor do I want to take care of yet one more thing on our network. They are good at hosting, they know OwnCloud pretty well, so why not let them tend to it? OwnCloud then connects to S3 for data storage ….keep reading. Got to Amazon Web Service and create a free S3 account. You get 5Gbs of free storage. Not bad if you’re just getting started. Once you have created your account, create a bucket in the region you want to store your data. This is important if you’re in Europe or other heavily regulated regions. In my case I’ve created my bucket in Northern California such that it is fast to access from here. Frankly, though, anywhere you decide to create your bucket you will have good access speeds to your data. Where data is stored has more of an impact if you’re creating apps to access such data, or if you’re going to distribute video/audio content in a website or app. Once you’ve created these two free accounts, it’s time to get them talking to each other. Primarily you want to set up your OwnCloud service to talk to and store data to your S3 bucket. Here’s a good online help doc that goes through the process step-by-step. Create your users within OwnCloud, and manage their profiles. This is such that each user has appropriate rights to view/edit/create data within a given bucket/folder. Check out this doc to get a better idea of what that means. 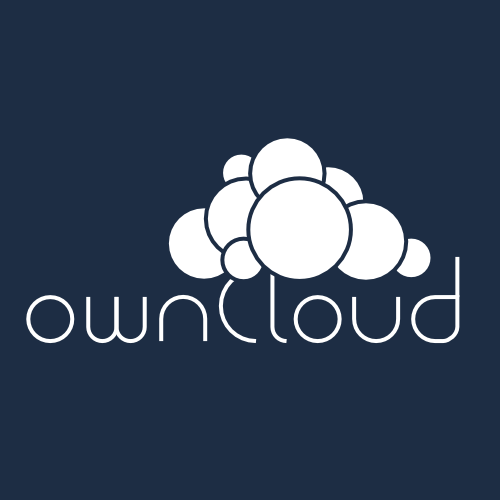 Deploy the OwnCloud client for Mac/Win, iOS/Android. Use each user’s credentials to get them connected and sharing. Once you’ve done this, the user simply needs to keep their data within a folder that is used to sync with the cloud service and into the S3 bucket. All syncing is done behind-the-scenes, so the users don’t need to worry about a thing. Best of all, if their machines takes a dive or they drop their laptop in the toilet – trust me, it’s happened – then all you need to do is give them a new device and get them connected to their account and sync. Also, there is an option to get to your data via a website just like Box, DropBox and GoogleDrive. OwnCloud is not a magic pill. There are some things that will need a bit of getting used to, like getting the file-sharing link, for instance. Overall, though, for the price and for what it does, it is a great example of open-source software applied to a real-world need.